Small, head and throat blue-grey, back green, underparts yellow ochre, tail plain grey. Throat has white crescent and black collar (not easily seen in field). Piping, high pitched four note song. Does not mimic. Restricted to medium altitude forest which is threatened through land clearing. Easily overlooked on dark forest floor. Associated with Dracaena fragrans – favoured for nest sites. 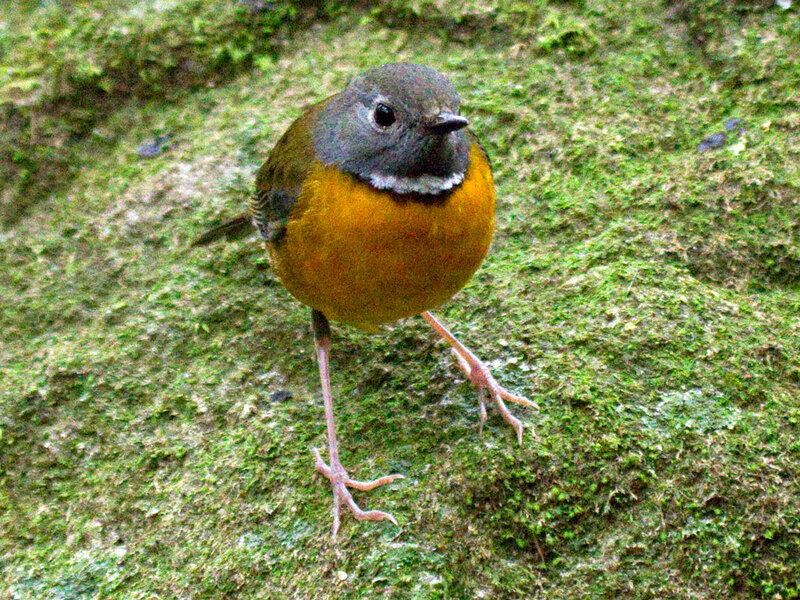 Seldomseen has at least 3 pairs of these very special little robins.